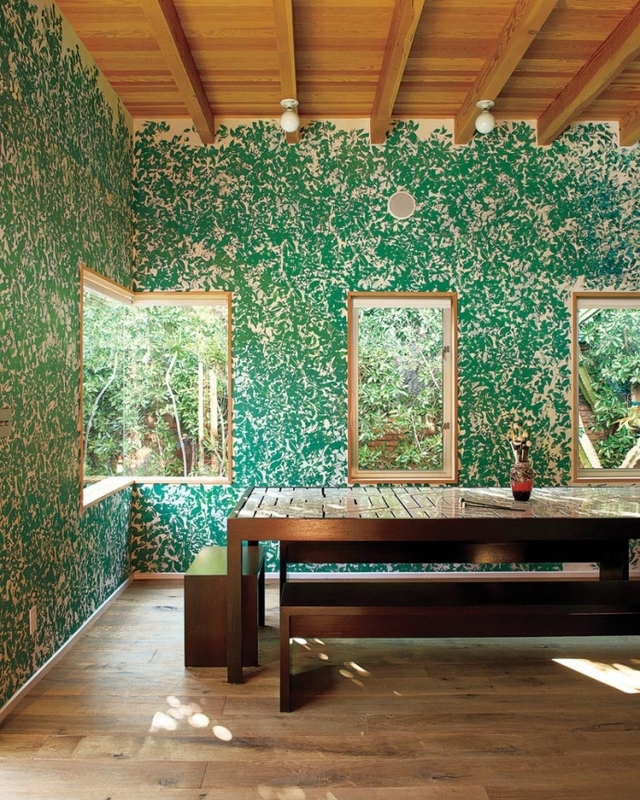 Silk-screened walls mimic hedges growing outside the windows; the corner window is amazing. Microphones integrated into the foundation of the house amplify the sounds of the moving earth and sea. Stairs can be musically played as well as tables that alternate as sonic tables that can be played like a xylophone. A kaleidoscopic staircase is constructed of angled mirrors, reflecting the sun’s movement illuminating the interiors.